(Mental Floss) -- Behind every good war are many good women. Using their feminine (and in at least one case masculine) wiles, the following five spies would make James Bond proud. Noor Inayat Khan was posthumously awarded the George Cross for her spy service. While Margaretha Geertruida Zelle MacLeod (1876--1917) may not have caused World War I, she sure as heck kept it going. Having spent time in Java with her husband, Captain Campbell MacLeod, Margaretha returned to Holland and sued for divorce. To make ends meet she took up exotic dancing and the name Mata Hari (meaning "the light of day" in Malay). With her sensual performances becoming the attraction of the major European cities came the men and the gifts for her favors. Many of these favors came from royalty and high-ranking French and German military officers. As World War I progressed, both sides became suspicious that Mata was spying for the other side. The French eventually put her on trial and, although the charges were never proven, Mata Hari was convicted of espionage and was executed by a firing squad on October 15, 1917. Khan was born in 1914 and at a young age moved with her family first to England and then to France. In 1940, Khan, along with her mother and sister, escaped back to England just before France surrendered to Germany. While in England she joined the Women's Auxiliary Air Force (WAAF), but her ability to speak fluent French soon caught the attention of the Special Operations group and Khan agreed to become a spy. Khan was flown to Le Mans, where she teamed up with other female spies and traveled to Paris, France. There they joined the French Resistance Prosper Network. Soon after their arrival, the network was infiltrated and many were arrested. Khan was ordered to return to England, but instead she stayed on and continued to pass information on to England. Eventually she was arrested again and interrogated by the Gestapo. When she refused to speak, she was sent to a prison in Germany and then to the Dachau concentration camp. On September 13, 1944, Khan and three other female British spies were executed by the Nazi SS. 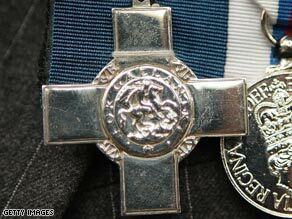 In 1949, Khan was posthumously awarded the George Cross. Born Isabelle Boyd in Martinsburg, Virginia, in 1844, the beautiful Belle soon became the star attraction in Washington, D.C., social circles prior to the beginning of the Civil War. With the outbreak of the war, she returned to Martinsburg. When the Union soldiers occupied the city, Belle mixed with the officers and soon gathered information on troop movements, which she passed on to the Confederate forces. However, she is probably best known for warning Stonewall Jackson that the Union intended to blow up all the bridges around Martinsburg. With this information, Jackson, with a small number of troops, was able to surprise the Union troops and drive them from the area. In 1864, Confederate president Jefferson Davis asked Belle to carry letters for him to England. The Union Navy captured her ship, but the officer in charge fell in love with Belle and let her escape. The officer, Lieutenant Samuel Harding Jr., after being courtmartialed and discharged from the Navy, traveled to England, where he married Belle. After the war, Boyd toured the United States as an actress under the stage name of La Belle Rebelle. Crazy Bet, as she was known, was born in Richmond, Virginia, in 1818 but educated at a Quaker school in Philadelphia, Pennsylvania. After developing a hatred for slavery, Elizabeth returned to Richmond and freed all her family's slaves. She also went so far as finding where her freed slaves' relatives were and purchased and freed them also. After the Civil War started, Elizabeth asked to visit Union prisoners being held captive in Richmond. The Union prisoners gave her information, which she then passed on to the North. Among the slaves she freed was Mary Elizabeth Bowser, whom Van Lew got a job as a house servant in the home of Jefferson Davis. This allowed Bowser and Van Lew to collect and pass on information directly from the Confederate president's mansion. Elizabeth effectively used the Crazy Bet moniker to make the residents of Richmond think she was mentally ill.
After the war, President Grant named Elizabeth the postmaster for Richmond. When the citizens of Richmond found out that Crazy Bet was an act, they shunned her. However, at her death, the state of Massachusetts placed a memorial marker on her grave. In 1861, Frank (Sarah) enlisted in the Second Michigan Infantry and over the next two years not only fought in a number of Civil War battles, but also served as a spy for the Union Army. Solders in her unit called Frank "our woman" because of his feminine mannerisms and his extremely small boot size. However, none of her comrades ever figured out that Frank was really Sarah. Mental Floss: Celebrity or look-alike? This boded well for her spying, where she dressed as a young boy serving in Confederate camps, as an immigrant Irish peddler and, most interestingly, as a woman. In 1863, Sarah caught malaria and deserted the army out of fear that hospitalization would reveal her true identity. In 1884, though, Sarah applied for and was awarded a veteran's pension in which the secretary of war acknowledged that Sarah was a female soldier who had rendered faithful services to the ranks.